If you’re one of the 4 million people in the UK who wear contact lenses, you’ll know how much freedom they give you. But are you using them in the safest possible way? What’s Love Your Lenses Week? This week is Love Your Lenses Week – a timely reminder that contact lenses are both a great alternative to glasses and easy to take care of. All they need is a little care and attention. Research shows that contact lens wearers are either unaware of or don’t take heed of advice – easily done in our busy, time-poor lives. Love Your Lenses Week’s main message is simple: “Wash your hands and dry before touching your eye”. Wash and dry your hands thoroughly before you remove your lenses from their case. Once you have put the lenses in your eyes, wash and dry your hands before touching the lens case. Clean out and air-dry your lens case each time it is opened and refresh with new solution each time you put your lenses away. Never use tap water with lenses or lens cases, only fresh contact lens solution. Check the lens is not damaged before applying. Apply your lenses before putting on make-up, and remove lenses before removing make-up. Renew your lens case at least once a month. Have regular check-ups at your opticians to make sure your contact lenses are correct and your eyes are healthy. Discard lenses and solutions that have passed their expiry date. Have an up-to-date pair of spectacles with you when you need to remove your lenses. A third of people swim with contact lenses without wearing goggles. If you’re going swimming, either remove your lenses, following the guidelines above, or wear a good pair of tight-fitting goggles - water and contact lenses are not a healthy mix! Love Your Lenses Week lists a full range of tips on its website. Daily disposable or monthly lenses? Today, there is an extensive array of lenses on offer at your local Leightons. Daily disposables are available in their own self-sealed containers, with solution included, making them much more convenient and easier to deal with compared to monthly lenses. There’s no need for contact lens cases and this reduces the risk of bacteria getting into your eyes. But I use varifocal glasses! No problem – varifocal contact lenses are now available. Drop into a Leightons branch to find out more. Do my eyes feel good all day long with my lenses in? Do my eyes look good? You can be assured of valuable assistance from your local Leightons branch. 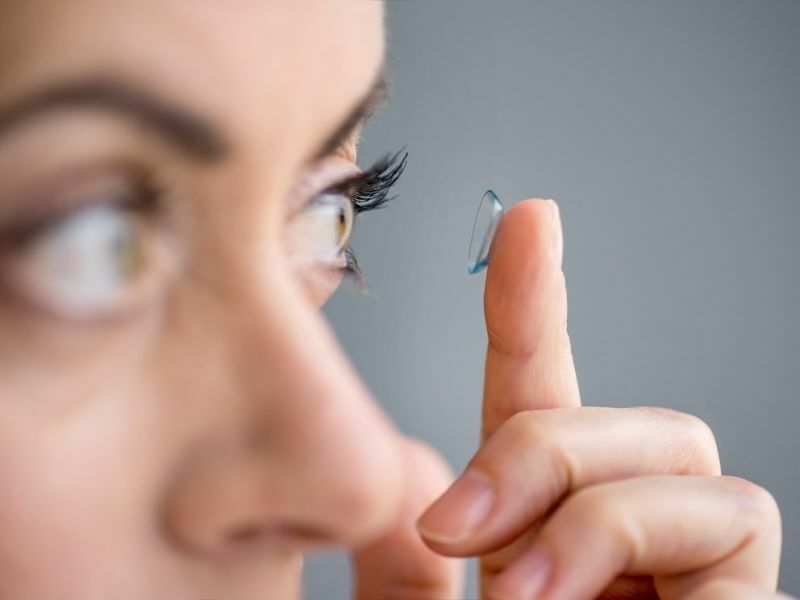 If you’re a glasses wearer who’s keen to find out more about contact lenses, or you’re an existing contact lens wearer and you’d like a check-up, visit Leightons for a contact lens exam. Contact us today on 0800 40 20 20 or book online.